Yes he does pwn, but the dubbing in English is bad. 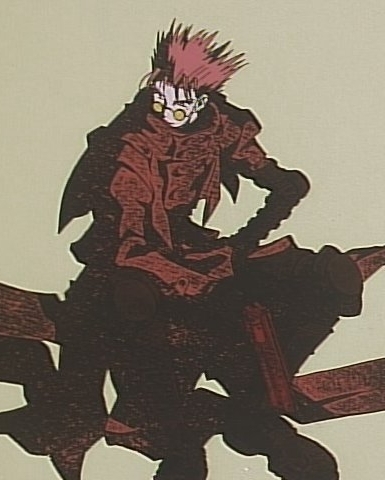 I just saw Trigun Episode 1, and it does Rock! I don't mid the Japenese with English Subtitles, but still it rocks! Oh, and it is pretty funny, to! Mommy!?! Stop Insulting Me!!! I stay up until 2 AM usually. Anyway, I like the Japanese Version with Captions. well tonight is gonna be a good episode so u should watch it.